The late C.K. 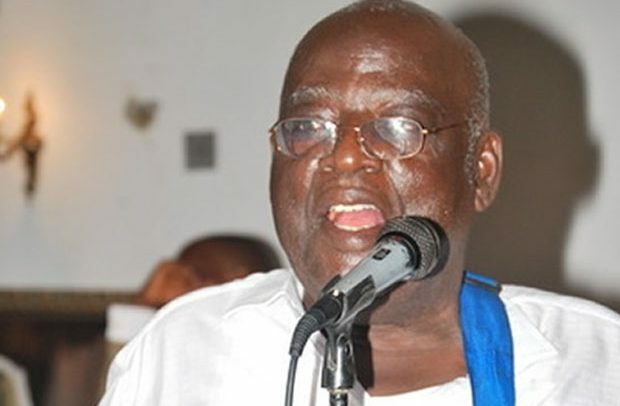 Mann will be buried on Saturday, July 14 in Takoradi. According to reports, a wake-keeping will be held at the Jubilee Park in Takoradi on Friday, July 13. The burial service will take place at the Christ The King Catholic Church on Saturday, July 14, where the body will be laid in state for friends and sympathisers to pay their last respect to the departed friend, followed by the interment at the Takoradi cemetery. The final funeral rite will take place after the burial at the Takoradi Sports Club. The thanksgiving service will be held at the Christ The King Catholic Church at Effiakuma on Sunday, July 15. Active in music for over four decades, his big break came in 1969 with the release of ‘Edina Benya’. He was a member of a number of influential bands such as the Kakaiku Band, Ocean Strings and The Carousel 7. For his immeasurable contribution to music and Ghanaian heritage, he was awarded the Grand Medal of Ghana by ex-President John Agyekum Kufour in 2013. His most recent album, ‘Wope Nyeho’, was released in 2013. Some of his popular hit songs are ‘Adwoa Yankey’, ‘Asem Asa’, ‘Mato Aboa’, ‘Medo Wo’, ‘Ahobrase’, ‘Mankyin Nyinsua’, ‘Araba Lucy’, ‘Okuan Tsentsen Awar’, Mber Papa’ and many others.